- 3½ digits LCD with maximum reading 2000. - According to JISC1609:1993 and CNS 5119 general A class specifications. - Spectral response close to CIE luminous spectral efficiency. 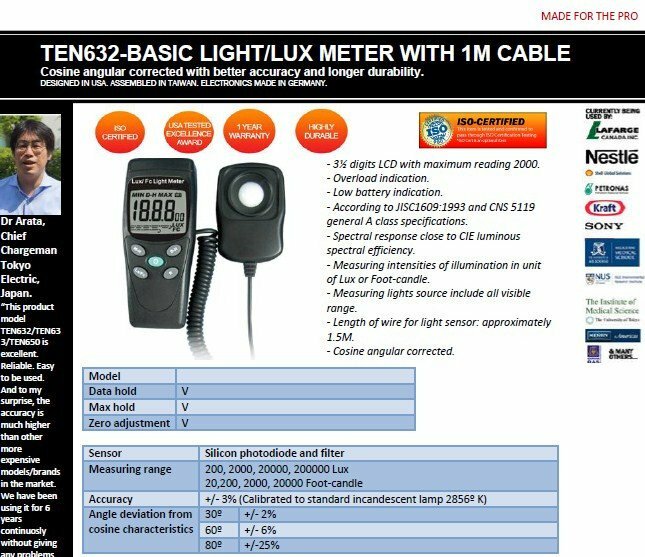 - Measuring intensities of illumination in unit of Lux or Foot-candle. 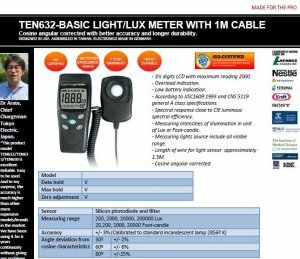 - Measuring lights source include all visible range. - Length of wire for light sensor: approximately 1.5M. Warehouses, factories, office buildings, restaurants, schools, libraries, hospitals, building security and parking stations.